On the morning of December 07, 2016, Azad Ahmad Malik, then 25, a taxi driver, was on his way to his home in Arwani (Bijbehara), around 51 kilometres south of Srinagar, when two teenage boys flagged him to stop. It was Majid Zargar, a local Lashkar-e-Toiba (LeT) commander, and his associate; both were carrying AK47 rifles. Fourth among six siblings Majid, then 19, a resident of Qaimoh village, around six kilometres from Hassanpora, joined LeT in April 2014, and quickly rose to become its commander for Kulgam. Without losing time, Azad quickly drove to Majid’s house in nearby Qaimoh village to get his elder brother, as instructed. Once there, Azad was told that Majid’s brother is not home. But with clear cut instructions from Majid to get him to Hassanpora, Azad got his number from the family and contacted him on phone. He told Azad that he is in Srinagar and will be back by 2 pm. With no option left, Azad decided to wait. At little past 2 pm, Majid’s elder brother finally showed up outside his house in Qaimoh. Azad, who was waiting in his taxi, waved and asked him to board. Without wasting any time, Azad and Majid’s elder brother drove towards Hassanpora. But as they reached near the small Qaimoh market, they saw shop-shutters being downed in hurry, while young boys zoomed past them on motorbikes. The tension in the main-market was noticeable even from a distance. After taking a quick look around, Azad stopped his vehicle and asked a young boy what the matter was. “Army and SOG have cordoned Hassanpora. There are militants trapped inside a house. We are rushing there to help them out,” the young boy told Azad quickly and disappeared in the crowd. Shocked, Azad and Majid’s brother fell silent and couldn’t decide what to do, as they knew who was there at Hassanpora. Azad and Majid’s brother discussed every option including visiting Hassanpora, but nothing seemed feasible as army had sealed all entry points to the village. With a heavy heart, Azad dropped Majid’s brother back at his house, and drove back to Arwani. “He came home very upset that day,” recalls Azad’s father Nazir Ahmad Malik. While Azad confined himself to his room, hundreds of boys started marching towards Hassanpora, despite tight cordon by CRPF and SOG around the suspected house. It led to intense clashes, subsequently. It was around that time when the news of first gunshots from Hassanpora reached Azad. For the next two days, while Majid and his associate, Rahil Amin of Vessu village, braved mortar shells, grenades and bullets, Azad waited in silence at home. “He didn’t talk much during those two days when the encounter was going on. He would eat in silence and go back to his room,” recalls Azad’s father. 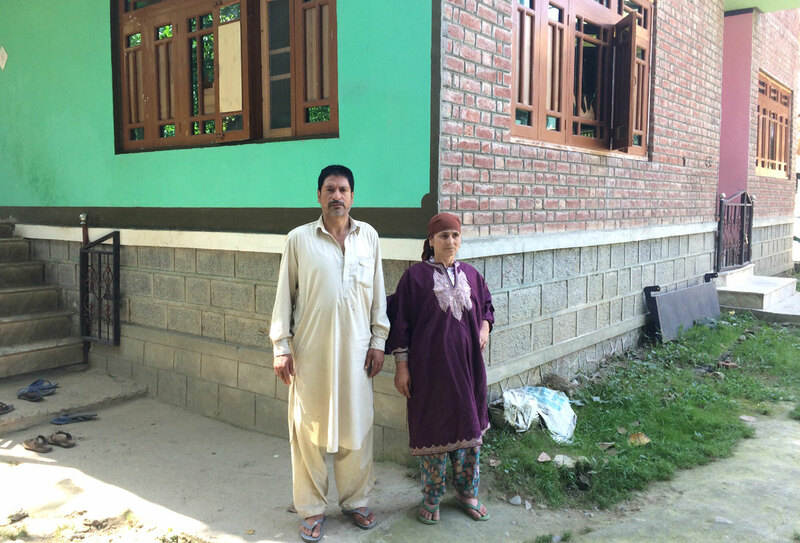 Parents of Azad Ahmad Malik at their home in Arwani. At Hassanpora, the 42 hours long gunfight finally ended after army and SOG blasted the house completely using mortar shells. “Almost everyone from our village rushed towards Hassanpora after the gunfight, except Azad,” recalls his father. Sitting half-a-mile away at his house, Azad had no idea that an announcement by the owner of the house: where Majid and Rahil were killed, would make him an outcast instantly. After the army left with two corpses, which were nothing but a few kilograms of burnt human flesh, thousands of people rushed towards the gunfight site. This led to another round of clashes between people and CRPF men, which left one civilian dead, 30 others injured with pellets and bullets, and many arrested. Despite that, within minutes the spacious courtyard of Mushtaq Ahmad Ganie’s house, which was burnt to ashes in the gunfight, got filled with angry faces. The anger peaked as people came to know about the fate of Majid and Rahil’s dead bodies. This announcement angered everyone in the crowd as people started baying for Azad’s blood in revenge. Over the next two days, while entire south Kashmir witnessed clashes between boys and CRPF men amid the shutdown, Azad hoped for a miracle. “He was sure that tempers will cool down within a few days,” said one of Azad’s close relatives who wished not to be named. But that didn’t happen. Instead, the cry for revenge now started to echo in far off area of south Kashmir including Shopian and Kulgam towns. When he didn’t come back in the evening, his parents thought he had gone to see a local apple merchant, with whom Azad used to travel outside Kashmir frequently. Besides, everyone at Azad’s house was worried about his younger brother Adil, 18, who was picked up by the police from near the encounter site in Hassanpora during clashes. The next evening, when Azad didn’t come home, his father finally dialled apple merchant’s phone and asked him about his son’s whereabouts. “I have not seen Azad for a long time,” the merchant told Azad’s father. Interestingly, Azad, who drove a rented taxi, never owned a cell-phone, making any contact with him impossible. “Now we started to worry as there was no trace of him,” said Azad’s elder brother Mudassir Ahmad Malik, 30, also a driver. In the meanwhile, his younger brother, Adil ended up spending one month behind the bars at JIC. “We thought Azad was picked up by Special Task Force (STF) or army and killed in a fake encounter,” said Azad’s father. Earlier in 2015, Azad was arrested by an STF officer who accused him of ferrying militants. After spending four months in jail, he was released with a warning that next time would be different. “So we were sure he was picked up and killed,” said his father. But that was untrue. Azad was about to make a comeback in an altogether different avatar, and shock everyone who accused him of being an informer. With just 1582 households Azad’s native village Arwani had produced over 80 militants since 1990s. Interestingly, around 17 of them were from Malik clan including Azad’s elder brother Mubashir Ahmad Malik, then 16, a LeT militant who was killed in 2004. 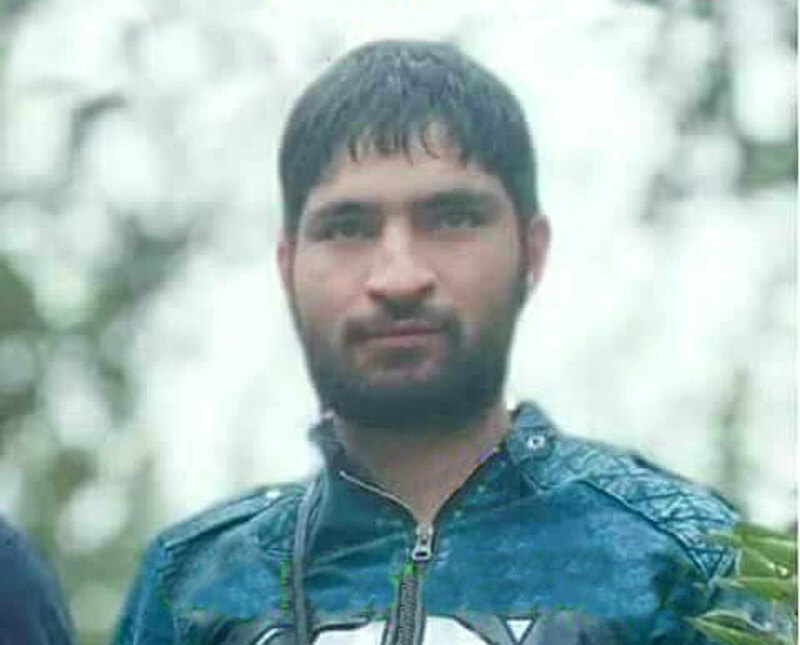 And Azad’s first cousin Shahid-ul-Islam Malik, 19, who joined Lashkar in June 2014 and was killed within six months during a gun-battle at Soura, Srinagar. “Those six months were really difficult for Azad as he was close to Shahid,” said his father. But the turning point in Azad’s life was Majid and Rahil’s encounter at Hassanpora. “He left behind his forty-day old bride when he disappeared,” said his brother Mudassir. A resident of nearby Batengoo village, Azad’s bride had no clue why her husband left without a word. “The poor soul was completely heartbroken,” said Azad’s mother Naseema. “I felt like I was the least informed person as people knew almost everything about my son,” said Azad’s father. As luck had it, Azad would rise through Lashkar ranks, even quicker than his predecessor Majid. He was the talk of the town. “People literally shielded him by sacrificing their lives,” said one of his cousins, who wish to stay anonymous. At around 11 PM, on April 10, 2018, a joint party of Army, SOG and CRPF cordoned Khudwani village, around five kilometres from Arwani, after getting inputs about the presence of militants in the area. After a few hours door-to-door searches, a series of gunshots were fired from a two-storey house located deep inside Wani Mohallah, thus confirming militant presence. To make sure militants don’t escape in the dark, flood-lights were installed around the suspected house. Simultaneously, all the roads leading out of Wani Mohallah were sealed. With the stage set for a gun-battle, the army decided to wait till the first light. But nobody knew what the first light would bring with it. With first light as the exchange of gunfire resumed hundreds of boys from nearby villages started marching towards the house. They were stopped mid-way by CRPF at outer-ring. This triggered clashes in which CRPF fired teargas shells, pellets and a few live bullets as well. At around 11 AM, after the intense exchange of gunfire left one army personnel dead and two others injured, there was silence at the encounter site. The house where militants were hiding was already blasted by the army. Some say a helicopter was also used. After around a two hours hiatus, the army started scanning through the debris looking for militant bodies. But they found none. It led to another round of clashes, this time close to the house. As clashes, intensified army and SOG fired directly at the protestors killing four teenagers and injuring over a hundred in and around Khudwani. Fearing the civilian causalities might go up, army quickly left the village thinking militant bodies would be retrieved by locals from the debris. But as soon as they left, three men including Azad Malik aka Azad Dada, who, by now, was one of the most wanted Lashkar militants in south Kashmir, emerged from a lane looking exhausted but happy to survive. They were followed by huge cheering crowds. After a few minutes of wandering through courtyards, Azad Dada and his colleague, who was later identified as Bilal Ahmad, boarded a bike and vanished from sight. But more than the miracle it was, Azad’s network of OGWs that he had cultivated over the years, first for Majid then for himself that helped him escape. Soon Azad’s name was going to be on everyone’s lips after his name figured in a high profile assassination. 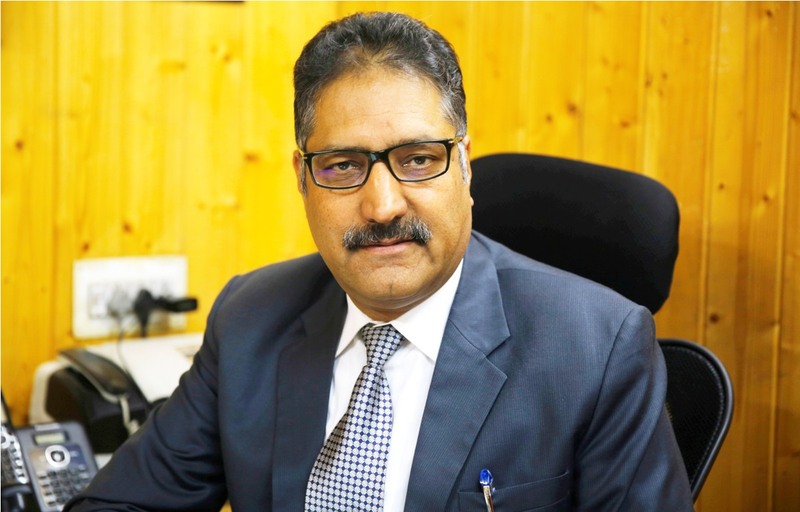 On the evening of June 14, 2018, unidentified gunmen shot dead Shujaat Bukhari, editor of Rising Kashmir, and his two bodyguards, outside his office in Srinagar’s Press Enclave. The killing happened two days before Eid-ul-Fitr, turning the festive mood into mourning across Kashmir. In Srinagar, the mourning Kashmir media fraternity demanded that police must identify Bukhari’s killers and bring them to justice. Around the same time, both India and Pakistan started blaming each other for Bukhari’s brutal assassination. As the pressure to identify Bukhari’s killers started to mount, less than two weeks later, Jammu and Kashmir police said they have got a breakthrough into the case. On June 28, police in a presser released pictures of four suspects who they believed were behind Bukhari’s killing. The suspects included three Lashkar militants including Azad Dada, Muzaffar Ahmad Bhat and Naveed Jatt. The fourth suspect was Sajjad Gul, a Srinagar resident who now lives in Pakistan. 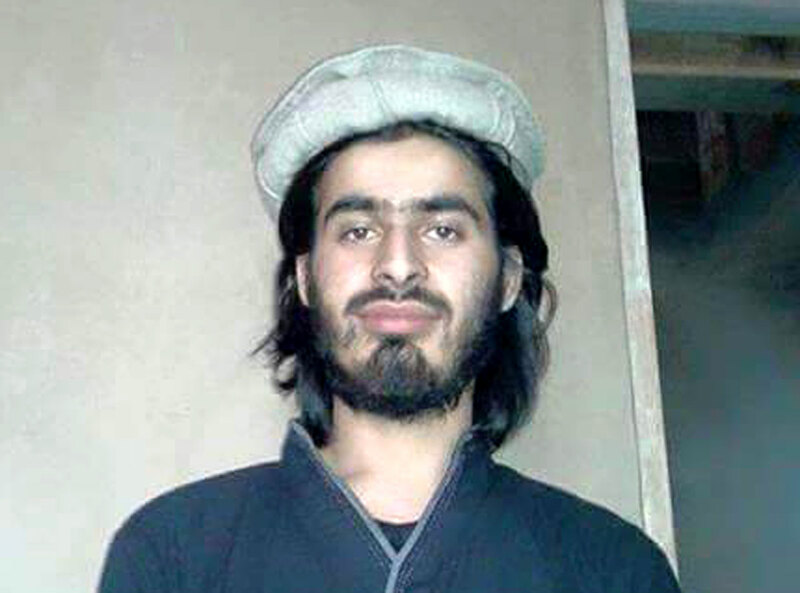 This made Azad one of the most wanted militants in Kashmir. “If he would have killed Bukhari then how could he come home two days later,” asks Azad’s father. “It is not easy for a militant to travel 50 kilometres between Srinagar and Arwani, that too when entire Kashmir was on a red alert.” A LeT statement denied any hand in Bukhari’s killing. But irrespective of his father’s claims and counterclaims, the hunt to track Azad down by the security grid would keep everyone in his family on their toes. Mudassir and his younger brother Nadeem, 18, were beaten. “They said nothing and left before anyone could have come to our rescue,” said Mudassir. On the late evening of November 23, 2018, police picked up two overground workers (OGWs) from outside Shahlgund-Satkipora village of Bijbehare, some 55 kilometres south of Srinagar, when they were carrying dinner with them. After two hours of interrogation, the duo revealed that the dinner was meant for a group of militants, hiding inside a tin-shed located in an orchard, outside the village. By 3 AM, while the entire area was still in slumber, army and SOG laid a cordon around the suspected spot. At daybreak, a gunfight erupted between hiding militants and the army. By 9 AM, all six hiding militants were killed, triggering clashes across south Kashmir. As police identified the slain militants, it was revealed that Azad alias Dada among them. A few hours later, thousands of mourners carried Azad’s body to Arwani, barely seven kilometres away from the encounter site. Surrounded by friends, family and mourners, Azad’s body was kept inside the spacious playground of Shining Public High School, located across the road from his modest two-storey house. After five back-to-back funerals inside the playground, Azad’s body was taken home for the night. An announcement was made that he would be buried the next morning. 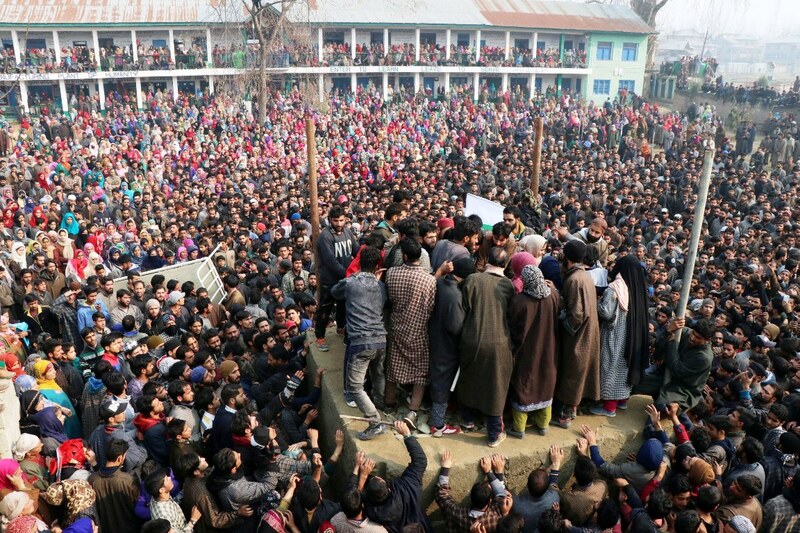 The next morning, thousands participated in Azad’s funeral inside the same playground. He was finally buried in the local martyr’s graveyard, under the shade of Chinars (maple trees), located across the road from his house. Before joining the militancy, Azad used to park his taxi under the shades of the same Chinars.